This week on Get the Skinny: Lots of returns this week! 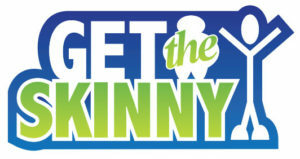 First, we have Game Fuel by Mountain Dew, delicious Blue Bell ice cream and Get the Skinny! We’re back after a Summer break to talk about diet, weight loss and junk foods. Also on the show: Pepsi rebrands Max, brings back aspartame to Diet Pepsi and goes Freestyle, but may be a little subdued.